Highlights: Qasr al Haj and the Landscape. 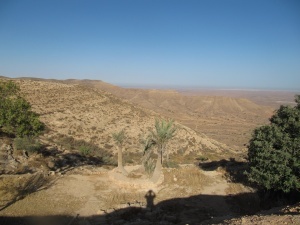 You will depart in the early morning by car and travel through the Jebel Nefusa, a landscape of barren mountains and rocky escarpments, home to Libya’s Berber community. The first place to vist will be Qasr al Haj: an extraordinary circular and enclosed fortified granary. After lunch you will wind your way up an escarpment to a sprawling Berber village called Yefrin for the night. Highlights: Tormisa, Landscape and Kabaw. 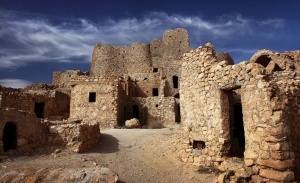 The first stop of today will be Tormeisa – an abandoned stone village situated on a rocky outcrop overlooking the sahel al Jefara plain. 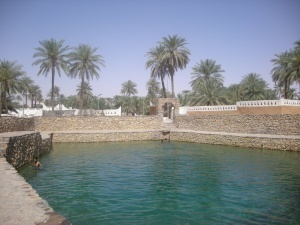 There are many tunnels, oil press passageways and rooms to explore, as well as a mosque. You will then drive on to Kabaw; a charming Berber community that nestles on a hillside with a wonderful granary marking the focal point of the village. 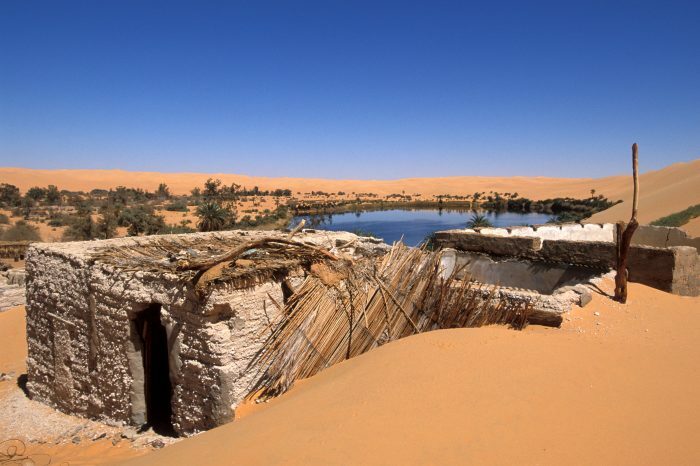 Lunch will be taken nearby and the journey will continue south in the afternoon where the mountainous terrain starts to give way to the epic harshness of the Sahara that stretches from northern Libya to the heart of the African continent. 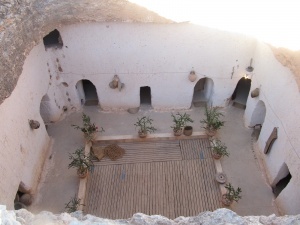 Upon arrival in Ghadames in the early evening, you will be transferred to the hotel for two nights. 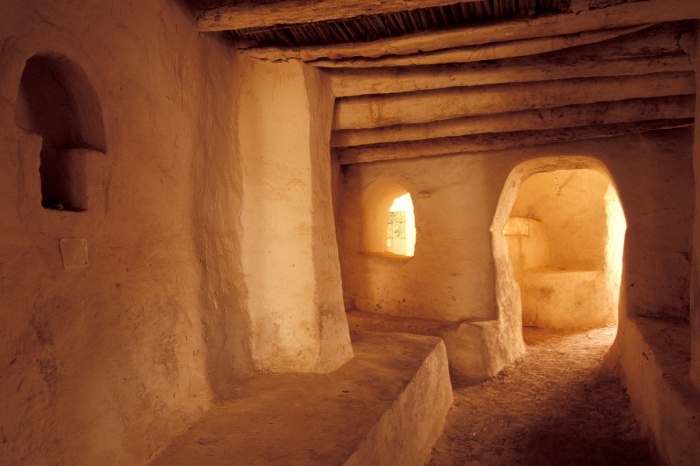 Ghadames is one of the most extensive ancient caravan trading towns anywhere in the Sahara and a highlight of the tour. You will be taken on a guided tour of the now deserted old town on the first morning of your stay, wandering through labyrinthine alleyways, tropical gardens and old squares. In Ghadames, women led a life of concealment; their domain was the house, which they decorated intricately with red paint and they did not come down to street level except at prayer time. Only a network of interconnecting roofs allowed them to move about freely from house to house. A traditional lunch will be cooked in one of the old houses. 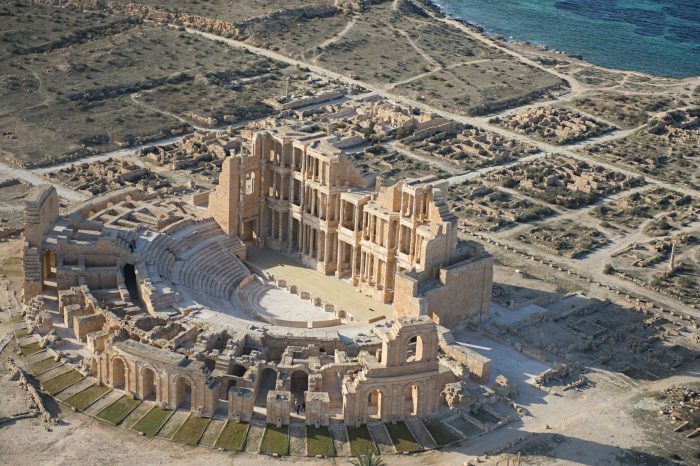 Relax or browse the shops in the afternoon and in the early evening, drive into the desert to visit the ruined remains of Ras al Ghoul surrounded by sand dunes and overlooked by the dunes of Tunisia and Algeria. 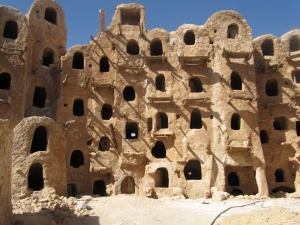 Highlights: Nalut Berber granary and Gharyan. 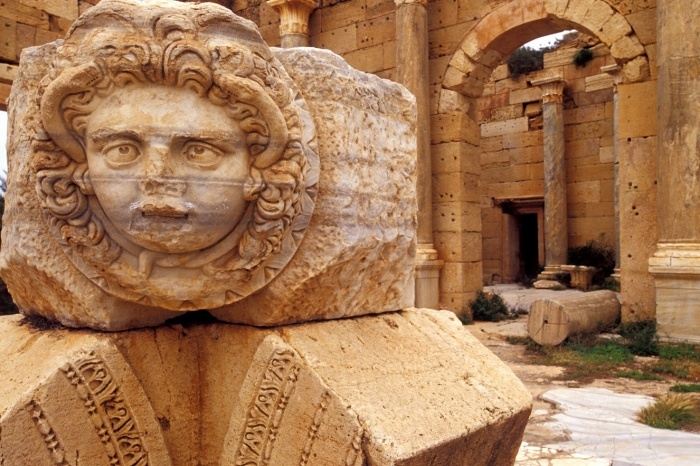 You will return to Tripoli along a different route through the Jebel Nefusa stopping at Nalut. Nalut is the biggest Berber community and houses an exceptional Berber granary that teeters on the edge of a mountain with fantastic views overlooking the plains beneath. 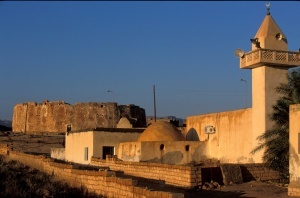 The Qasr is the focal point of the village and the houses, oil press, and mosque only fell empty in c.1960 when new Nalut was constructed around it. The local community have worked hard to keep the local traditions alive with craftsmanship and many of the rooms are open, showing the pottery storage containers that kept barley, dates and oil. 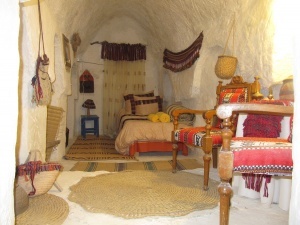 Continue to Gharyan where you will visit a Berber troglodyte house. Afterwards we drive to Tripoli.